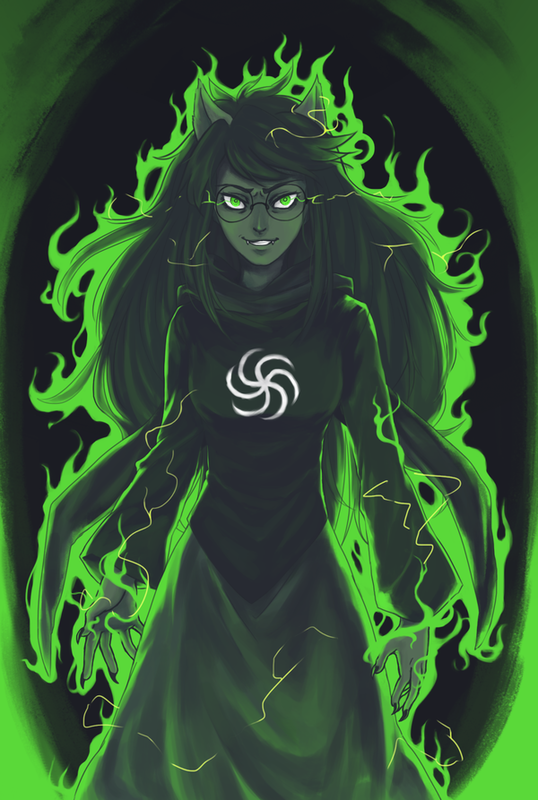 As you can probably already tell, I'm a huge fan of Homestuck! I'm also a fan of Disgaea, Dangan Ronpa, Corpse Party, Black Butler, Death Note, RWBY, Steven Universe, Invader Zim, and Undertale. I also love to draw, write, and create my own original characters and fan characters! I also ship Ciel x Alois, Sebastian x Grelle, L x Light, Near x Mello, Lapis Lazuli x Peridot, Ruby x Sapphire, Pearl x Rose Quartz, and ZADR (Zim x Dib)! Hi! You probably don't recognize me, so let me just say, I'm new to the Movellas community. Well, I guess it's a comfort that I'm not the only one at zero...? mumbled "I actually have an idea for a story? :00"
Well, it's only a very bare and unstructured scatter of ideas by this point, but I figure I'll sort it out eventually. I sort of want to wait until I have the entire outline in place before I say what the idea is, though, since I'm still not entirely sure that it will work out! But I will say that it is based off of a digital drawing that I've been working on, which I will post whether or not I have the story to go along with it. But only when it's finished. 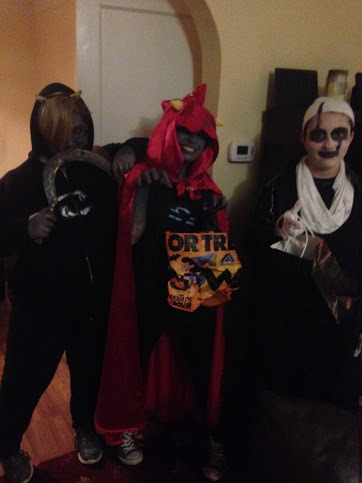 I'm the one in the middle, and I'm dressed as Terezi Pyrope! My friend Vivi is on the left dressed as Karkat Vantas, and my friend Risa is on the right dressed as W.D. Gaster from Undertale. And Vivi got to use a real sickle, which was awesome!! Halloween was fun, though! Vivi and I kept grabbing each other's "horns", and I kept sniffing her and saying she smelled like cherry, so... XD And we got lots of candy, which was cool!